Musical partnerships are often born at an early age, usually around high school or college. For Verena Ward and Maral Sahraei, the two became close friends in high school thanks in large part to their love of music, namely the likes of Hellogoodbye, San Cisco, Vampire Weekend, Tegan & Sara, and Grouplove. However, the two have different styles – Ward endeavors to create acoustic-electronic music while Sahraei is a pop music fan. 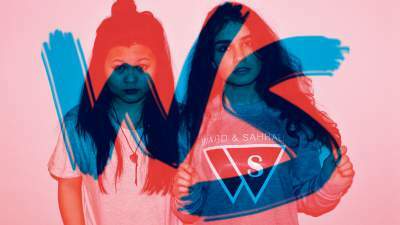 Despite their different interests, they’ve blended the various styles to create their own brand of of indie pop / electro-pop under the name Ward & Sahraei.